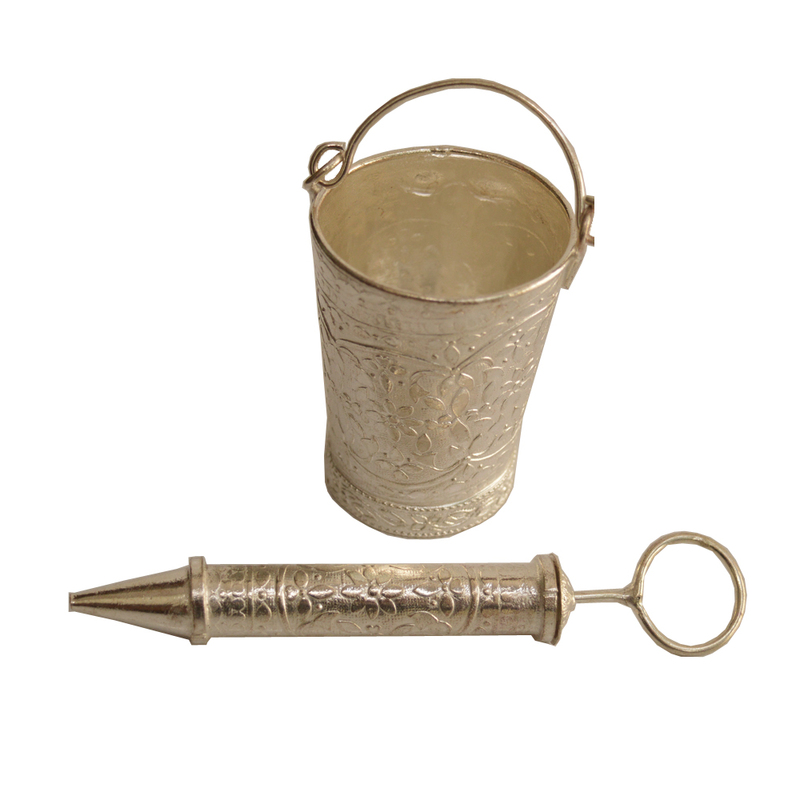 The beauty of this German Silver Ornate Baalti Pichkari for Holi Gifts lies in the intricate carving work present on its fine body, which makes Read More..the set a sight to behold. This pair of bucket and pichkari is ideal for adding to fun of playing with colors on the occasion of Holi, and drenching loved ones in a myriad colors. Moreover, it provides a fine opportunity to the buyers to showcase their refined sense of aesthetics while gifting it to others. Show Less..